Farm parcels here are zoned for 200 acre minimum. Brussel sprouts and artichokes are popular crops. 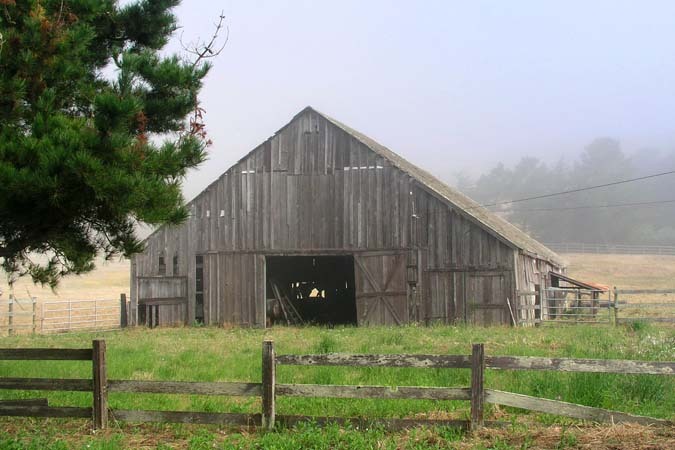 The barns are getting old, as are the farmers, and developers would like to build tracts or estates here. The California Coastal Commission has the dificult job of holding back development in these nearly natural settings.